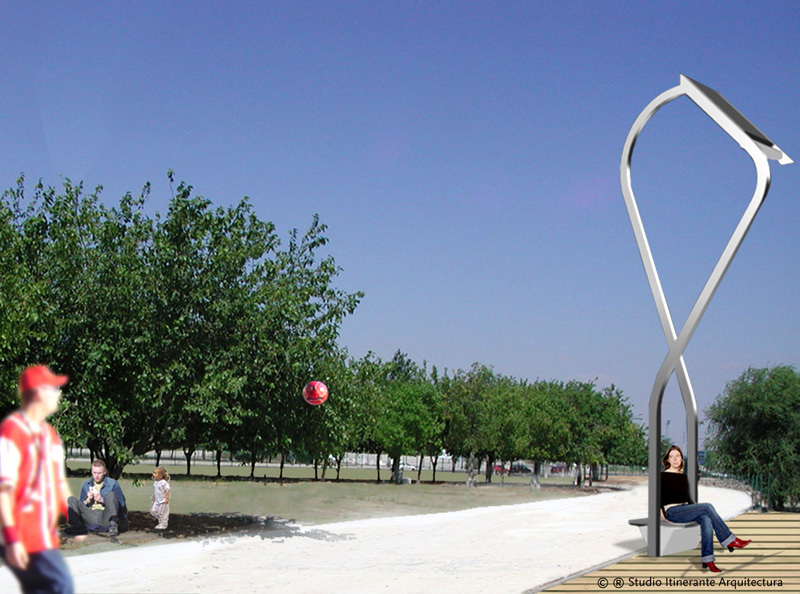 The CUORE design conceals the battery in the interior of the two person bench. 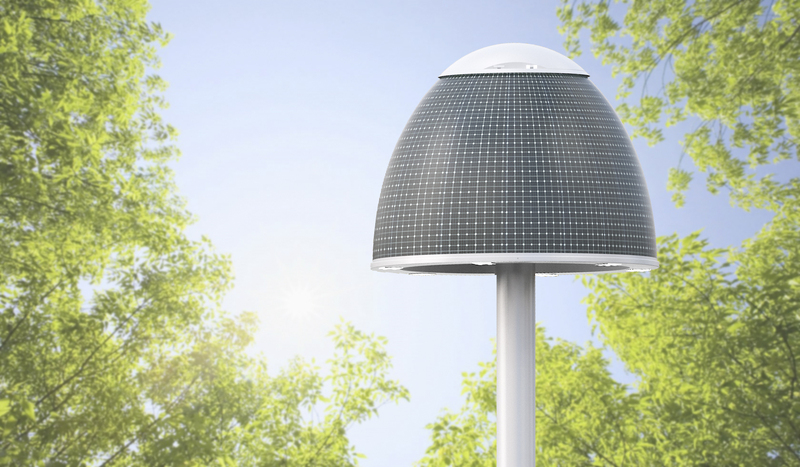 CUORE attracts the new romantic generation sensitive to environmental protection. 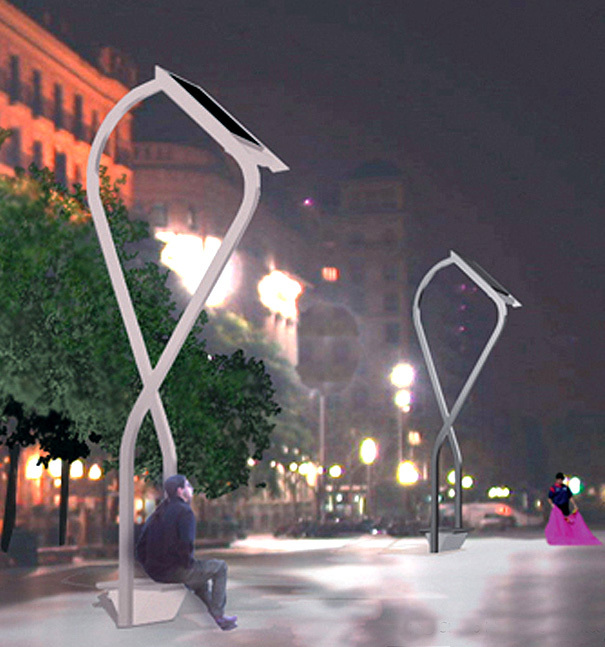 CUORE, the photovoltaic street light bench, responds esthetically to existing architectural requirements, and creates energy that converts an innovative element of mobile urban sustainability. 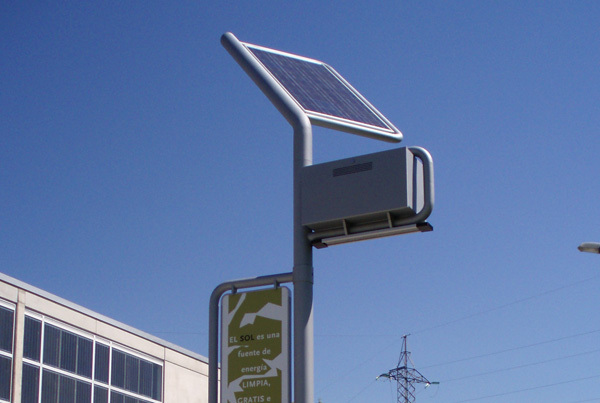 It is a street light of nourishing stand-alone photovoltaic that elevate illumination and lessen the environmental impact thanks to the utilization of photovoltaic energy, the latest technology in regards to high performance lights, and LED technology that ensures efficiency and saves energy. 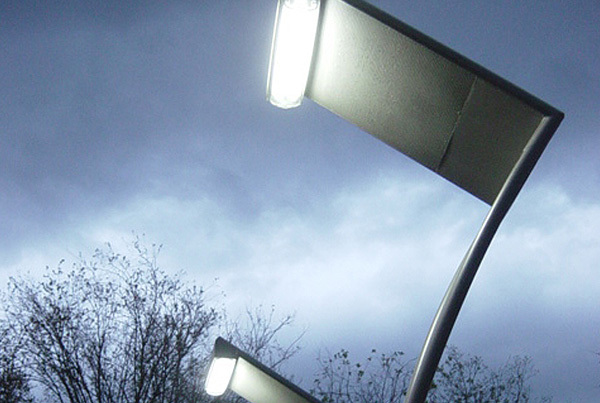 CUORE integrates a LED system of illumination placed 4.5 meters off the ground which allows ample illumination of the surrounding public space while simultaneously reducing the contamination. 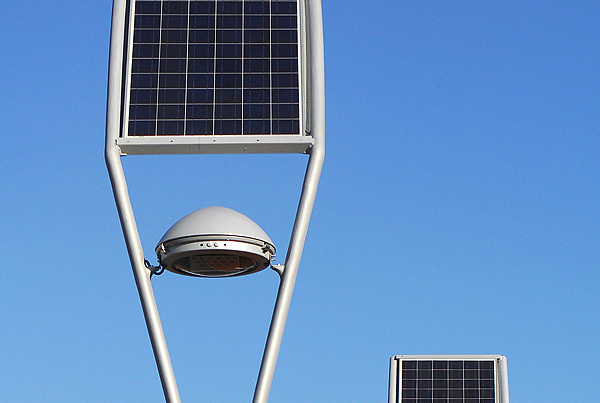 The photovoltaic module has an inclined structure, 135 WP of power, and a minimum .9 m2. The system operates at a voltage of 12 VDC and is governed by a programmable digital controller, a load control system (MPPT), for high performance. An internal algorithm tells you sunrise and sunset for each day of the year, defines periods of illumination, and average maximum power according to the fixed schedule. 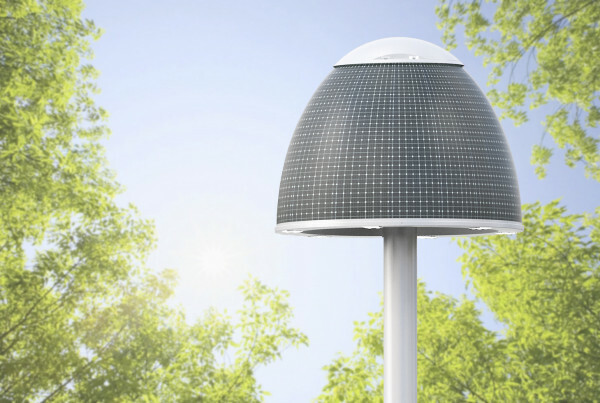 The energy captured during daylight hours is stored in a bank of two batteries of 200 AH gel of total capacity located at the base of the lamp for use during the hours of little to no natural light. Self- illuminating, regardless of a network connection avoids trenching and electrical installations, CUORE is perfect for remote areas. Moreover, the structure’s base doubles as a bench resting place, making it particularly attractive to public spaces, parks and gardens.